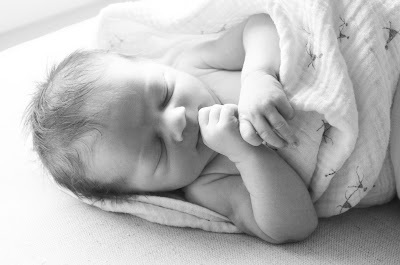 Our first boy (Baby Bunny #3) arrived safely but in a bit of a hurry on August 27. We are all doing really well - but I have a serious lack of free time and hands dealing with 3 little bunnies 3 and under!! Congratulations to Mom, Dad and the big Sisters. You should have a little more time in say 18 years. Congratulations Rachel -- He's Beautiful!!! Congratulations, a real bundle of joy! Congratulations Rachel! He is beautiful. Free time? What's that? Just make sure you take care of yourself. So happy for all of you...he is absolutely BEAUTIFUL!